I had found this cocktail on Pinterest a while back and pinned it to my cocktails board waiting in anticipation for Thanksgiving to be over so that I could try it. 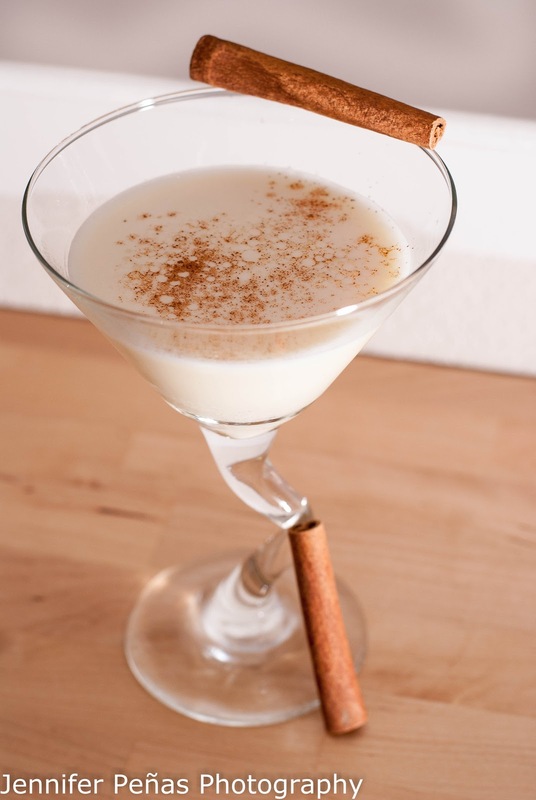 Not that I'm a huge eggnog fan, but it is the season for eggnog and what better way to drink it then with alcohol mixed inside? I followed my pin and it led me here to Single Minded Women. 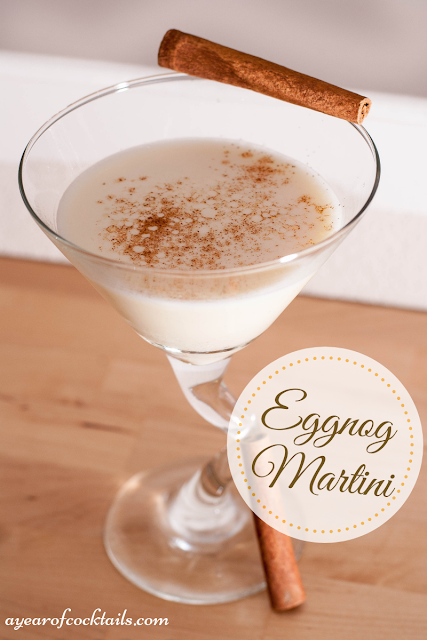 As I guessed, the eggnog is the main flavor of this cocktail. The smell of the cinnamon that I had sprinkled on top is a nice smell, especially since I don't have to taste it. What I mean is that it's a pretty strong smell because you're basically sticking your nose in it when you take a sip, which tricks you because you think each sip is going to taste up to high hell with cinnamon........but then it doesn't. Basically it's a nice surprise. 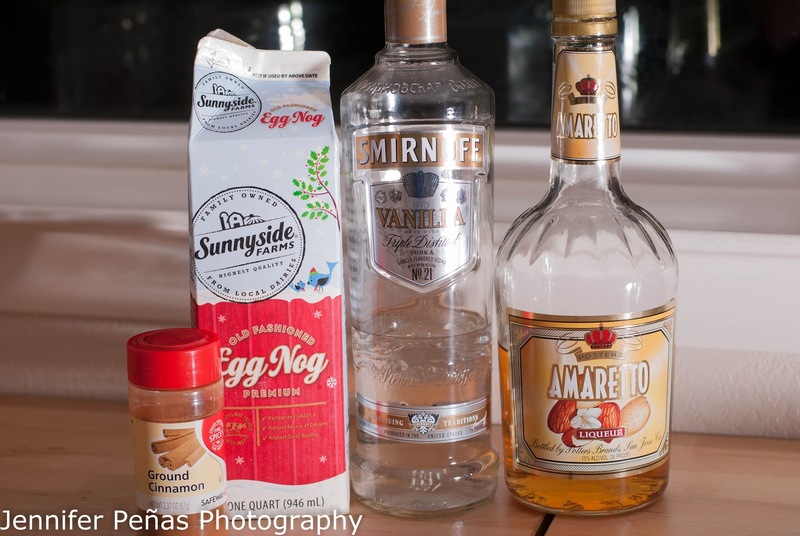 The vanilla vodka and amaretto are more or less masked by the eggnog taste. I know they're in there (I poured it myself, ha) and I think I can faintly taste them, or it may just be that they slightly dull the eggnog flavor enough to where you can tell that you're not drinking just straight eggnog. Anyways, if you enjoy eggnog, you should enjoy this. If you enjoy vanilla vodka and amaretto......I'd put some more of each in (or even lessen the eggnog), to your liking of course. In a shaker, add ice and all of the ingredients above except for the ground cinnamon. Shake and strain your cocktail into a chilled martini glass. Sprinkle the cinnamon on top, to your liking. Here's to my first eggnog cocktail. My dad makes one every year, so I'll have to get his recipe and make it another night. Well, I LOVE eggnog! I generally drink it without liquor, but if I want to dress it up, I'll probably try this out. You can also mix it with spiced rum. That's how I usually do it and it makes a pretty nice flavor. Oh, Spiced Rum sounds good! I think I'll have to try that, what's your ratio? I think my dad uses brandy with his. "Glug Glug" is the usual ratio. LOL. I'll have to measure it next time to see. I can see brandy being a good choice as well, yes.